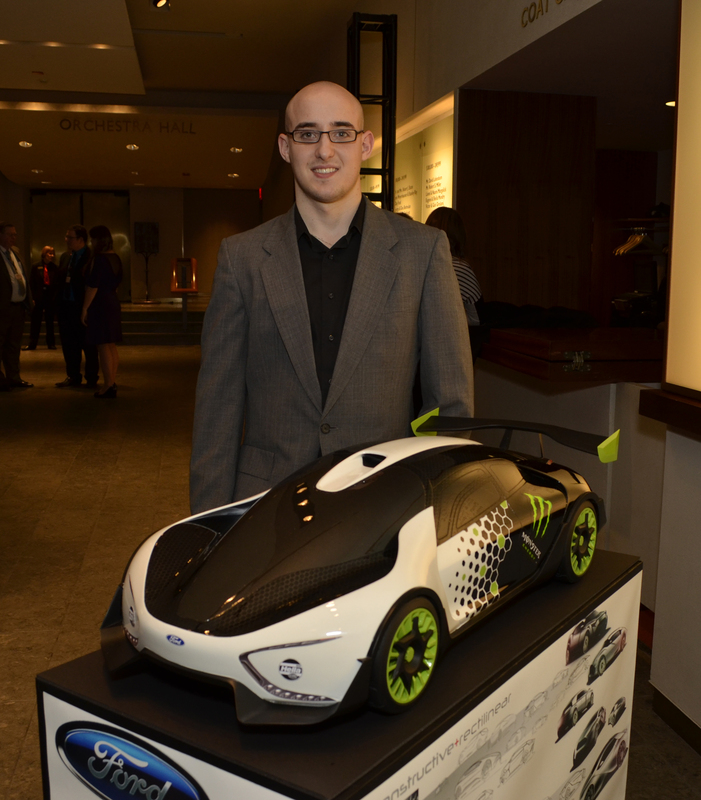 Student projects commissioned by automotive manufacturers are on display at Lawrence Technological University’s exhibit at the 2013 North American International Auto Show that opens to the public on Saturday, Jan. 19. The exhibit is located downstairs in Michigan Hall. 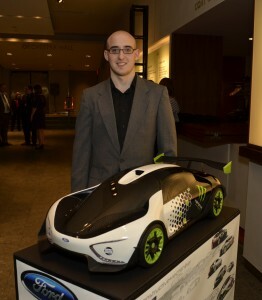 These models designed and built by transportation design students at Lawrence Technological University will be on display at the university’s exhibit at the Auto Show Jan. 18-27. These three models were created for concept design projects commissioned by the Ford Motor Company. From front to back are a 2025 Ford C-Max delivery vehicle for the Chinese market, a 2025 Crosswinds wind- and solar-powered vessel, and a 2025 rally car with an electric drivetrain and solar panel. With support and encouragement from the automotive industry, Lawrence Tech has created a unique Bachelor of Science in Transportation Design program that emphasizes the importance of engineering factors in automotive design. The director is Keith Nagara, a former Ford designer who has a master’s degree in mechanical engineering. Nagara has designed the degree program to simulate an industry studio environment. Blending their creative talent with an understanding of engineering and manufacturing technology, Lawrence Tech students design projects with feasibility of manufacturing in mind. Lawrence Tech students are trained on computer programs used by industry professionals. The university’s Auto Show exhibit features video presentations about software from Dassault Systemes and Inteva Products that students are using. 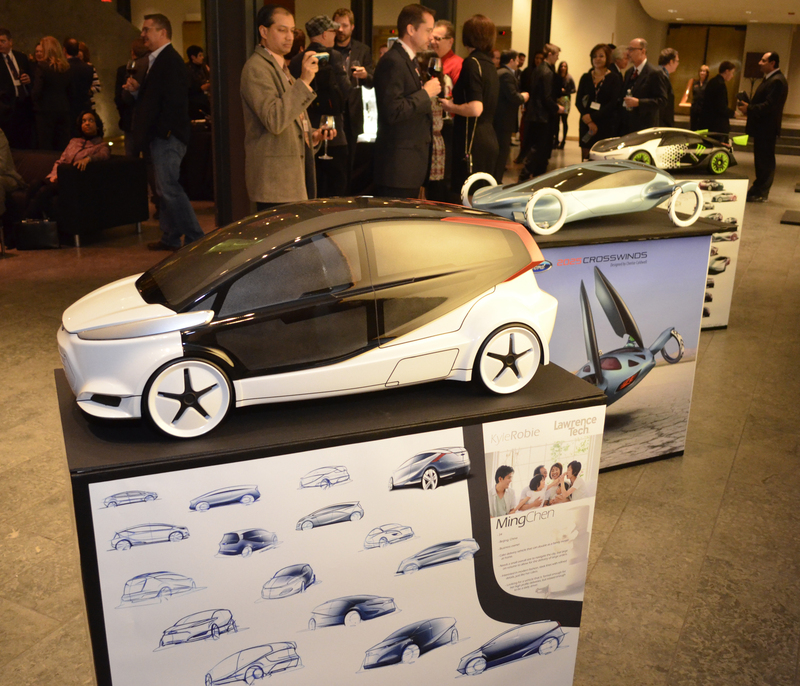 Students will exhibit concept models that they have designed and built as part of industry projects that auto companies and suppliers have commissioned. These projects give students unique opportunities to “test drive” their educations in real-world situations. Two 2012 competition vehicles built by SAE teams at LTU will also be on display. On Saturday, Jan.19, from 10 a.m. to 3 p.m. the Lawrence Tech exhibit will additionally host a reenactment of the 2012 Thanksgiving RoboParade. Students in grades 4-12 from a dozen schools and two home schools will demonstrate the autonomous robot floats that they constructed, decorated and programmed to follow the parade route and avoid collisions with other floats. The teams come from Canton, Northville, Clawson, Sterling Heights, Farmington, Southfield, and St. Clair Shores. Lawrence Technological University transportation design student Colin Bonathan has designed a 2025 rally car with an electric drivetrain assisted by a large solar panel under the glass of the cockpit. RoboParade helps inspire students to pursue science, technology, engineering, arts, and math, as well as computer science, in a creative environment.